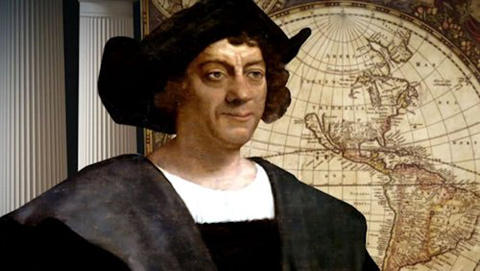 Although Italian Americans seem to be the only ones who put up a fight against the campaign to unperson Christopher Columbus, he represents all Americans of European heritage, or who appreciate living in a civilized country where life isn’t as nasty, brutish, and short as it was for pre-Columbian Indians. A statue of celebrated explorer Christopher Columbus was found beheaded in a Yonkers park. Lifelong resident Pat Gamberdella said he called police when he noticed the head of the statue torn off. The head to the bronze-colored statue was found discarded next to a plastic bag in Columbus Memorial Park, a mile north of the Bronx. This is hardly the first Columbus statue to be attacked since the Left’s War on History went into overdrive following Charlottesville. Elsewhere in New York, Columbus Circle is likely to be erased. There is no aspect of American or Western Culture that these malefactors will not desecrate, demonized, and destroy. Progressives are doing to America what Muslims did to the rich and varied, mainly Christian cultures that once flourished across the Middle East. Everything that we fail to defend will be lost, starting with our pride. To be unpersoned for personifying the West. On tips from TCS III, J, and Torcer. Cross-posted at Moonbattery.